Established in 2006, PT Paramount Enterprise rapidly developed real estate in Garding Serpong, West of Jakarta. Five years later being recognized in the top five of property developers. 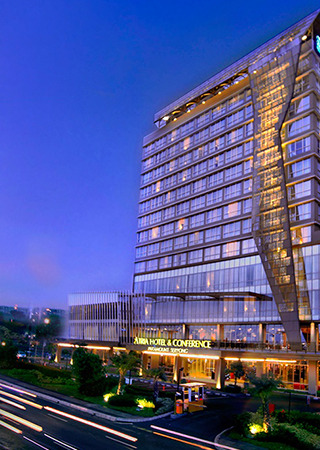 In 2010 PT Paramount Enterprise launched it’s first hotel , the Aston Paramount Serpong Hotel and Conference Center, a phenomenon of success becoming the market leader in hotels in Tangerang and West Jakarta within just a years operation. In 2012 PT Paramount Enterprise announced Parador Hotels and Resorts as its newest and most ambitious branch. Parador would focus on hospitality management and would manage all hotels built and owned by PT Paramount Enterprise. Parador Hotels and Resort’s first project was to succesfully open twelve hotels within twenty months (four being opened in a grand opening on December 21th 2012). New hotels and serviced residence management project are in the pipeline and continued to be developed.